What can I say about the game, The Resistance?!? It’s a lot of fun, even if it does pit friend against friend, as distrust and dishonesty infiltrate each round, so that by the end of the game, you have no idea who is who and all you really know is that you can trust no one…! 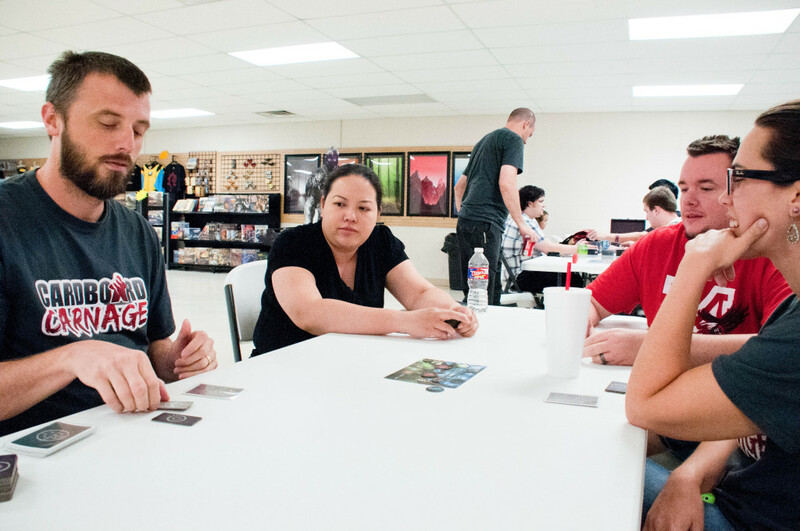 At the beginning of the game, character cards are secretly dealt out. We had 5 players, so our game consisted of 3 resistance operatives and 2 spies. Once each person has had a chance to look at their identity, everyone closes their eyes. Then, only the 2 spies open their eyes, so that they know who they are partnering with to tank the mission. There are a total of 5 missions for a 5 player game. The first player gets to choose 2 people to go on the first mission. Everyone votes whether to allow the mission to proceed. If it proceeds, then the 2 people chosen to go will receive a success and a fail card. On the mission, if a player is a resistance operative, then that person must play a success card. 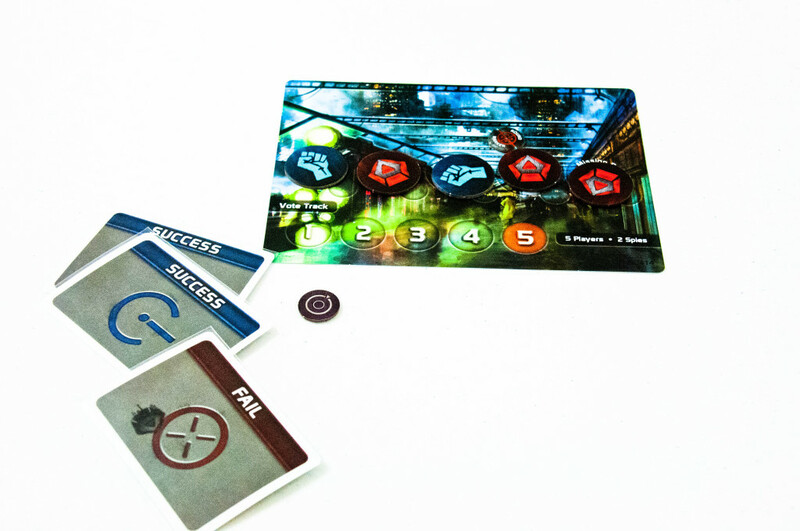 If a player happens to be a spy, then he/she can decide whether to play a success or fail card to pass or fail the mission. 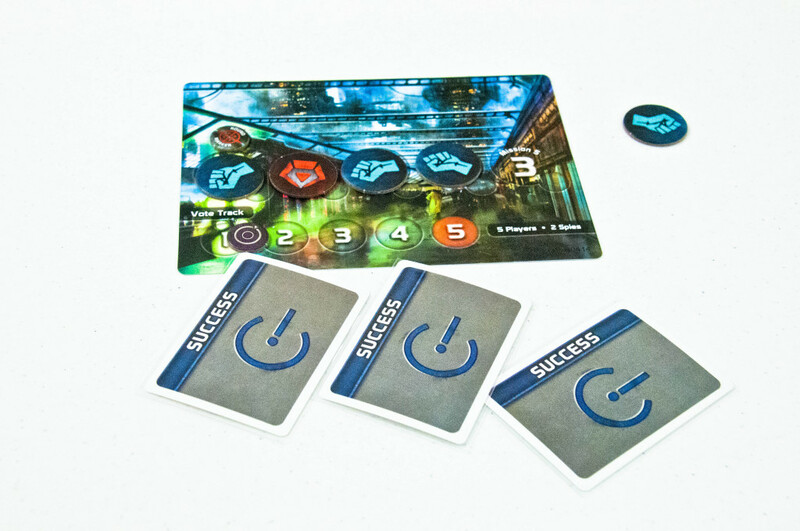 The first mission sends 2 players, and for the most part, the first mission is always successful. If there are only two players going on a mission and one of them fails the mission, then it is obvious that one of those is a spy. Most likely, they wouldn’t be sent on future missions while the other resistance operatives try to figure out who else is a super sneaky spy. The second mission sends 3 people, third mission sends 2, fourth mission sends 3, and fifth mission sends 3. It is a lot harder than you’d think to try to figure out who the spies are…. especially with the group we played with on Thursday night. We had some great poker faces, some chatty personalities, some hard-to-read individuals, and some experts in espionage. Can you guess which category I fell into?!? Tram was so quiet and determined; she also had an excellent poker face. Curtis was very hard-to-read. I would vote Katie and Gregg as “Experts in Espionage.” I cannot tell you how many times the phrase, “I don’t trust YOU!” was yelled across the table that night – hahaha! All in good fun though! Game 6: Resistance Operatives finally WON because Curtis was determined not to lose every single game of the night! Gregg & Candace were the spies. It was so funny, during the 5th game, when Katie was getting so close to naming the spies. She was determining who NOT to send on a mission when Curtis told her that she was horribly wrong and was going to feel silly by making the wrong choice. Katie shot back, “No! I’m going to feel BRILLIANT!” Problem was that Katie had, in fact, made the wrong choice… “How do you feel now?” Curtis asked. Well, no one was feeling 100% terrific about their skills of deduction, but the game was great for finger pointing, attempted role play, and deep tummy laughs! The Resistance is a pretty quick play. It’s addictive. It can easily wear you out… trying to defend yourself against accusations that you are not a spy when you are, in fact, not a spy. Or defending yourself against accusations that you are not a spy, when, in fact, you are! You get the idea. This game will definitely make another appearance on our game table!